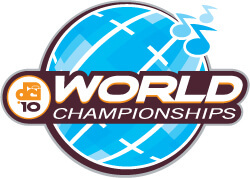 Music Ed Majors: Register for our FREE World Championship Semifinals experience by Friday! Attention music education majors: Time is running out to reserve your spot as our special guest at the 2010 Drum Corps International World Championship Semifinals! On Friday, Aug. 13, you have the special opportunity to immerse yourself in the drum corps experience for a day. First you'll have the opportunity to work with author and motivational speaker Fran Kick, who is the creator of the leadership presentation series KICK IT IN. Then, along with touring Lucas Oil Stadium and watching corps warm up in White River State Park, you'll witness the World Championship Semifinals from a prime seating location as our guest! You only have until this Friday, Aug. 6 to register to attend this educational drum corps experience! Space is limited and offered on a first-come, first-served basis, so be sure to RSVP while you still can. Download this PDF flyer for additional event details and info on how to RSVP. This educational workshop is sponsored in part by The Woodwind & Brasswind, MENC: The National Association for Music Education, KICK IT IN and Music for All.